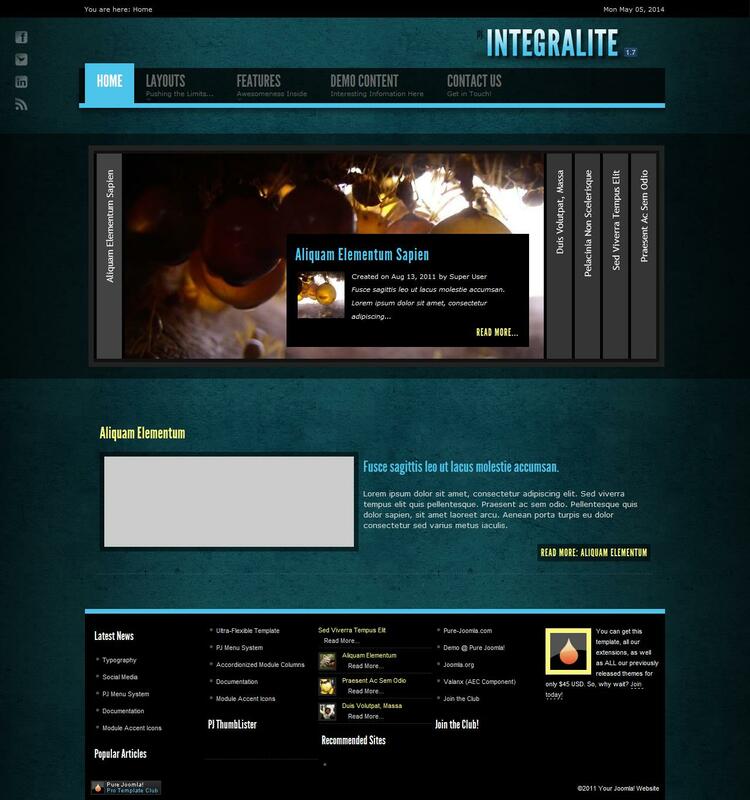 PJ Integralite - quality and stylish dark template for Joomla 1.7 from the studio PureJoomla. This template has the ability to adjust the width of the layout, supports mobile devices and contains more than 15 module positions. The composition includes a quick start module firm PJ LiteAccordion, capable of displaying content with accordion effect. Functional modular layout provides a flexible arrangement of all modules on the site.